Great offers on your holiday in Italy with us. Book by May 31! We at Italy Gay Travels offer the best travel experiences and holiday in Italy. We create bespoke holidays and tours for small to medium sized groups. Planning a holiday in Italy this Summer? Please contact us at info@italygaytravels.com. We will be happy to create your dream holiday and tours in Italy! Have you ever visited this beautiful country? We are happy to help you whatever your travel needs are: we will create a personalized tailored plan for you, your partner, your family and your friends! We will make your next travel to Italy really unforgettable! If you wish, we are also available to be your personal travel guide around Italy: we will be happy to meet you and travel with you! We specialize in off the beaten touristic tracks: we will make you travel like a local! Looking instead for a fixed departure group tour? Just take a look at the offers below: we are happy to offer very special discounts for our fixed departure group tours if booked by May, 31. Not finding what you are looking for yet? Browse our website to discover the beautiful region of Puglia and choose from the best gay and gay friendly accommodation of Southern Italy. Or just drop us an email for any request. Are you and your partner, or your best friend, looking for the perfect gay active holiday with a group of smart like-minded guys from all over the world in sunny Puglia? Look no further! 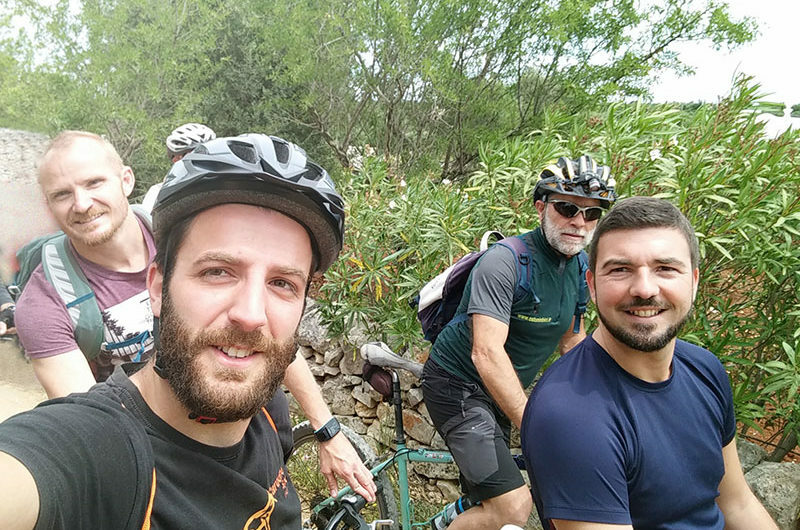 Join us for an amazing Gay Bike tour through Salento and its coastline. This tour will be the perfect opportunity to meet new friends, get fit as well as discovering a region rich in history, good food and a reputation for tolerance and acceptance. This will be a bike tour like no other! Looking for a Culinary adventure this year? Why not join our exclusive Gay Foodies Tour in the sunny south of Puglia in October and discover Michelin star food in a place like no other. You will also learn to cook like a local with the tutorship of the Bear Naked Chef. Book now to secure this very special offer! Find your inner zen on our exclusive Gay Yoga Retreat. Spend a week in Salento among ancient olive groves and near stunning beaches! You will be led by Caleb, our experienced Yoga Teacher who will use both Vinyasa and restorative Yen Yoga. Discover the best places Puglia can offer while staying in an ancient restored Farmstead! Join us for the highly anticipated Italy Gay Summer Pride 2017! At just €399 per person sharing in a double room at the exclusive 4 star Hotel Victoria Palace. Four days of fun, sun and partying in an area like no other. Join the local Italian talent this Summer and book now for this great offer.